After nine years working with high school students and young adults in a variety of contexts (including as a teacher, wilderness therapist, residential therapist and 2.5 years as a therapist with NSA in Costa Rica! ), Lee rejoined NSA in 2018 as the Director of Admissions & Outreach. Since Lee has participated with students and staff in each of NSA’s Aventuras, family workshops, therapeutic groups, academic classes and experiential education activities, he understands the program from the inside and can effectively empathize and articulate the experience to prospective and current students and parents. His guidance is invaluable in determining if NSA is the right match for a particular student's and family's needs. In addition to supporting with the admissions process, Lee provides quality family orientation and ongoing support to parents throughout the process, creates and maintains relationships with educational consultants and other helping professionals within the broader educational therapeutic community and organizes the alumni follow-up network and on-going research initiatives. Lee sincerely believes in a holistic approach to wellness and education that values community service and a social justice framework. The intentional integration of Academics, Personal Growth, and Experiential Education within a container of supportive cultural immersion is what initially attracted him to NSA after teaching high school for two years in North Carolina through Teach for America and completing his MA in Psychology with an emphasis in Wilderness Therapy at Naropa University in 2015. Lee is a Licensed Professional Counselor (LPC) and Wilderness First Responder (WFR). Lee has worked with clients and families struggling to navigate issues of substance abuse/addiction, trauma, ADHD, specific learning disabilities, family conflict, anxiety, depression, chronic impulsivity, adoption, emotional dysregulation, sexuality, identity, spirituality, trauma, codependency and self-esteem. He maintains a belief in the inherent wellness, sanity and brilliance of all persons and the healing power of mindfulness, interpersonal connection/community, goal setting, daily exercise, conscious nutrition and increased contact with the natural world. Families who have worked with Lee praise his care, compassion, support, communication, reliability and executive functioning skills! 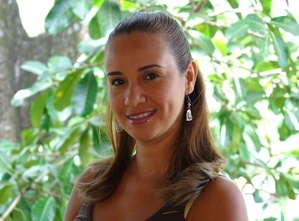 ​Lena was born and raised in San José, Costa Rica, where she attended an American bilingual school. She earned her Bachelors Degree at UNIBE with specialized training in CBT. As a licensed therapist, she has spent the last several years working in private practice and in hospital environments. Lena has also helped nonprofit organizations to create workshops for adolescents at risk, including healthy communication skills and behavioral and cognitive coping skills that help kids avoid school drop out. Completing her Masters degree in Health Psychology and Clincial Psychology at Universidad de Costa Rica (UCR) in 2016 will be a highlight of her training to become an integrated therapist. Her approach encompasses prevention and promotion of health, the use of different psychological perspectives, the use of alternative tools, and a focus on integration of self. Her goal is to be a positive influence on others and promote the understanding of the importance of unifying body, mind and spirit to achieve a better quality of life. ​Lena's guidance during the application process is crucial to ensuring a thorough admissions process and successful completion of all requirements for admission. In her free time, Lena enjoys nature, animals and everything related to a healthy lifestyle. Always very active, she enjoys training in new sports; from activities like surfing, yoga or boxing, she finds new ways to approach life the best way she can. With friends and family around the globe, she also loves to travel. Before becoming NSA’s medical coordinator and nurse in 2019, Marco graduated from the University of North Carolina Wilmington in 2009 with his Bachelors of Science in Nursing. He worked as nurse in North Carolina and then relocated to Costa Rica in 2012. Since being in Costa Rica, Marco has completed his Costa Rican licensure in nursing and has worked in various healthcare settings. Marco has a passion for the outdoors and golfing in his free time. He loves to travel and enjoys cooking different types of food. Marco loves to spend times with family and friends, including his Dachshund Roxy. Diana is a Certified Nurse/HHA and Clinical/Administrative Medical Assistant. She is bilingual with a TESOL Certification to Teach English as a Second Language. Diana is originally from Costa Rica but spent half of her life in California where she finished her education. Before working for NSA, Diana worked in Hospitality and Marketing where she gained her administrative and interpersonal skills. She is currently working on finishing her career in Nursing with emphasis in psychology. ​In her free time, Diana enjoys arts and crafts and also teaches Salsa – Latin dances and Crochet classes. Diana has a great passion for art, dance, music, and loves spending time with her pets. Diana is very passionate about animal rights and a loyal member of Preserve the Planet Foundation, “El Zaguate” and Fundacion “Amigo Animal” Costa Rica. Lucy is a key part of our administrative team. Outside of taking care of two young boys and her family, she finds time to help NSA keep things running smoothly. She manages billing coordination and is always organized and available for questions in accounting. We are thankful to have her as a part of the NSA team!